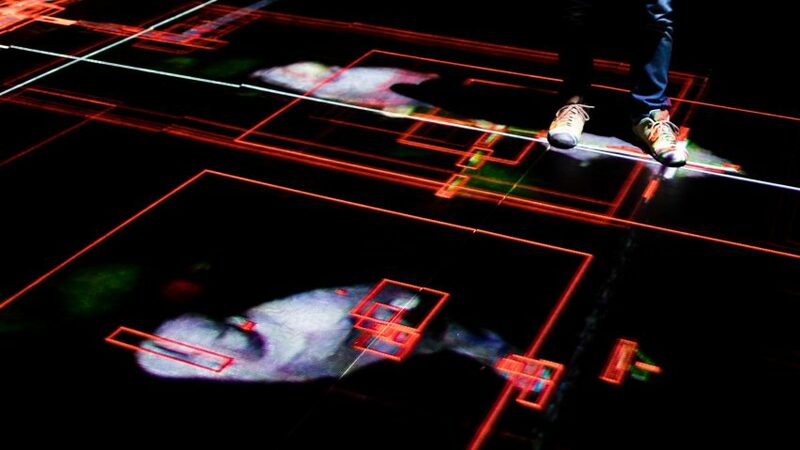 The movements of visitors navigating this installation, by architects Herzog & de Meuron and artist Ai Weiwei, are tracked by drones and played back to them – in a comment on surveillance in public spaces. Hansel and Gretel opened at the Park Avenue Armory on New York's Upper East Side on 7 June 2017. Visitors begin their journey in the Armory's bunkers, before emerging into venue's 55,000-square-foot Wade Thompson Drill Hall and encountering a five-foot-high (1.5-metre) bluff. 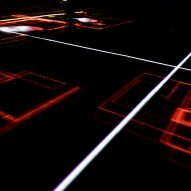 Fumbling around the dark space, their movements are recorded by infrared cameras and broadcast live online. The installation is titled after the fairytale in which two children find themselves lost and in peril in a familiar forest, and draws on a similar theme of disorientation. But instead of the breadcrumbs that the children leave to help them find their way out of the forest, the trail left behind the visitors to the exhibition is a white light, created from their recorded movements. 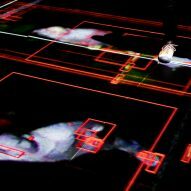 Their images are also projected back onto the floor, but the shadows of surveillance drones flying overheard break up the pictures. 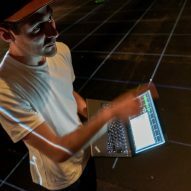 "The artists take advantage of the vast openness of the Drill Hall, creating a 21st-century public place in which the environment is disconcerting, the entrance is unexpected, and every movement is tracked and surveyed by drones and communicated to an unknown public," said the Armory. Once they make it to the first-floor Head House, the visitors become the observers. Monitors play back their journeys through the Drill Hall, and show the livestream of those still below. 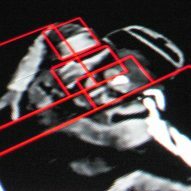 Reading material about drones and surveillance is provided on iPads, which also allow users to test facial-recognition technology on themselves. "This project provides a powerful lens for examining surveillance as one of the defining social phenomena of our time and provokes pressing questions about the right to privacy in a hyper-monitored world," said Park Avenue Armory president Rebecca Robertson. "In this work, Jacques, Pierre, and Weiwei have fostered a robust dialogue with our building to create a thought-provoking, immersive experience that explores how surveillance transforms public space into a controlled environment where individuals forfeit their anonymity." Swiss architects Jacques Herzog and Pierre de Meuron, and Chinese artist Ai Weiwei have previously collaborated on the Bird's Nest stadium for the Beijing 2008 Olympics, and the 2012 Serpentine Gallery Pavilion in London. Herzog and Ai both spoke to Dezeen about the ideas behind the pavilion when it opened, although the artist was unable to attend the ceremony as he was held under house arrest by the Chinese government at the time. Ai frequently addresses political themes in his work, with recent examples including responses to Europe's refugee crisis. The Hansel and Gretel installation similarly tackles controversial topics, and living under constant surveillance is something Ai has experienced first-hand. "Weiwei is an artist who has an innate understanding of the impact that built environments have on the artistic experience—as well as the direct experience of being watched 24/7," said the Armory's artistic director Pierre Audi. Herzog & de Meuron is also overseeing renovation work on the Park Avenue Armory, which was designed by architect Charles W Clinton. It formerly served as a military facility and a social club before it was turned into a cultural centre. Last year, the venue hosted a set of cylindrical towers designed by OMA to echo sounds made by mourners, during a performance by artist Taryn Simon. The Hansel and Gretel installation is accessed at 894 Lexington Avenue, New York. It is on view until 6 August 2017.